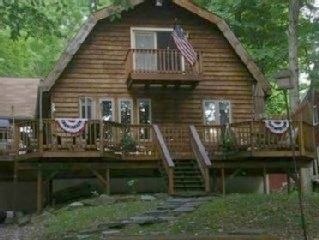 This luxury log cabin is only 15 years new! 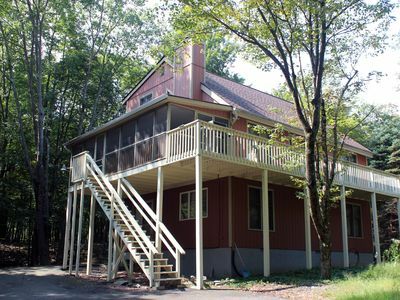 It sleeps 12, has three full baths, and 3 bedrooms plus a large loft. 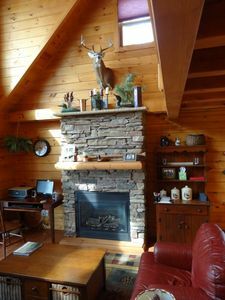 There are two fireplaces with gas, a large family room with bumper pool, darts, and a large flat screen TV. 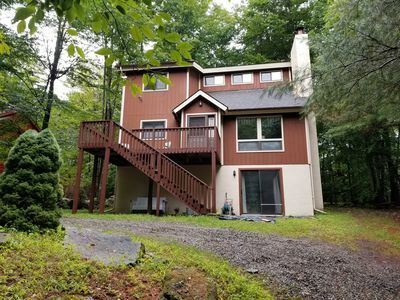 Access to the lake is totally flat ideal for young kids, the older, and the young who don't want to spend the weekend climbing stairs! 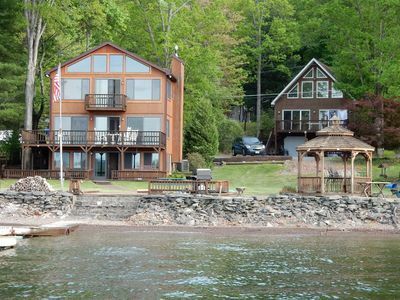 You have your own private dock with boat or jet ski spots. 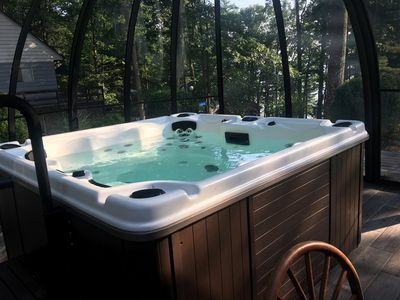 Beautiful fire pit. 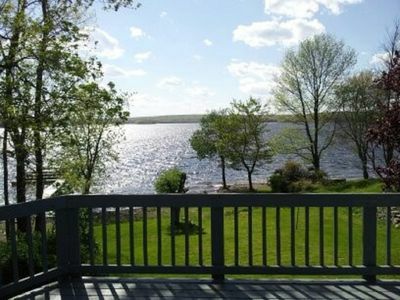 Three Kayaks! 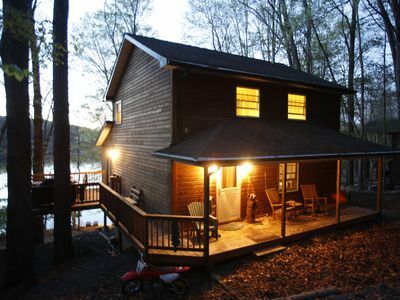 The bedrooms include a top floor master with a king bed, a sleeping loft looking right on the lake with 4 XL bunk bed twins, the first floor has a option of a king or two twins that can separate, the bottom or ground floor has a lake view also with a queen bed and two bunk beds- one with XL mattresses and the other with two traditional twins. 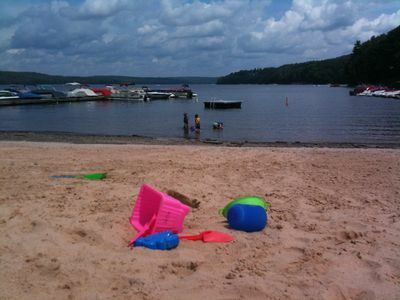 Perfect Vacation Memories at Lake Wallenpaupack!! 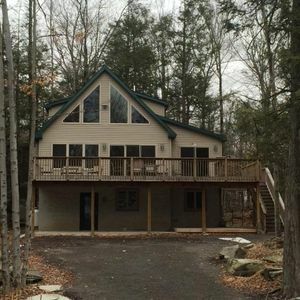 Luxury 3-Level Chalet - Simply the Best ! 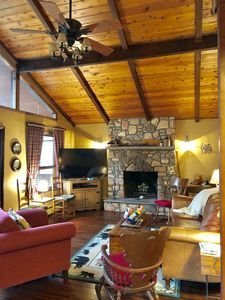 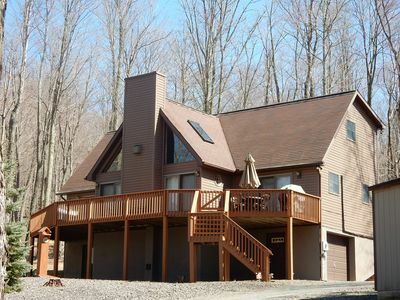 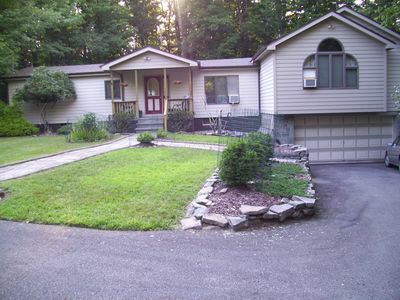 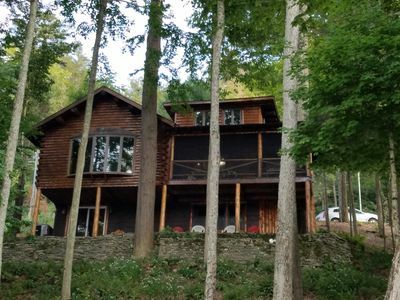 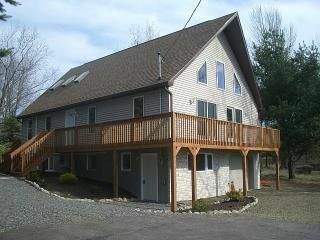 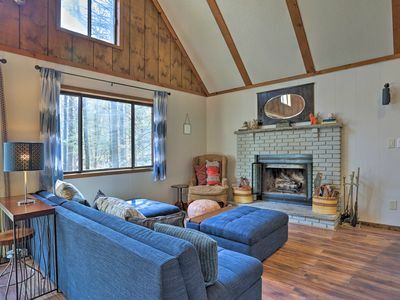 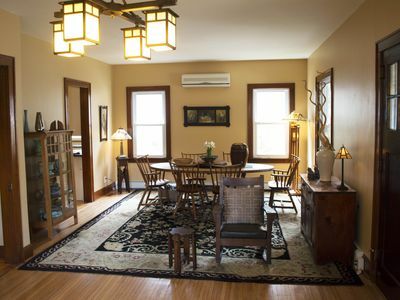 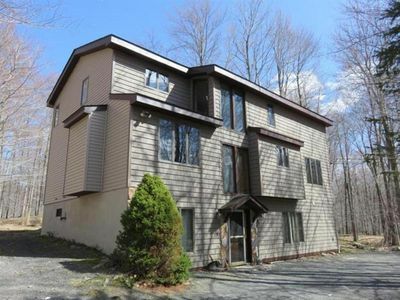 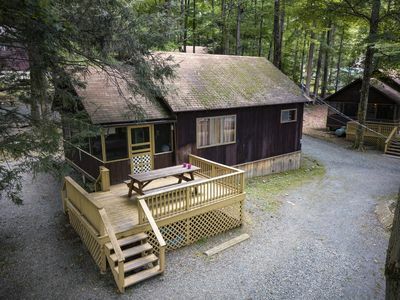 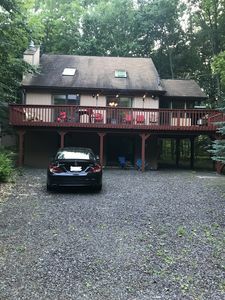 Beautiful Pocono Mountain Getaway - Sleeps 12 !